Emily Bronte. Bronte, Emily, 1846, photograph. Hulton Archive / Getty Images. Emily Bronte is considered one of the most important yet elusive figures in nineteenth-century English literature. Although she led a brief and sheltered life, she left behind some of the most passionate and inspired writing in Victorian literature. Today, her reputation rests primarily on her only novel, Wuthering Heights, which has attracted generations of readers and critics and is a literary classic. Early Tragedies. Emily Jane Bronte was born on July 30, 1818, at the parsonage at Thorton in Yorkshire, England, the fifth child and fourth daughter of the Reverend Patrick Bronte and Maria Branwell Bronte. She was raised by her father and maternal aunt at his new parsonage in Haworth following her mother’s death in 1821. In 1825, she was sent to the Clergy Daughters’ School at Cowan Bridge, but she returned home when her sisters Maria and Elizabeth became ill at the institution and died. Literary Life at Haworth. In 1826, Patrick Bronte bought a set of wooden toy soldiers for his children, which opened up a rich fantasy world for Emily and her siblings Charlotte, Branwell, and Anne. Emily and Anne later invented a romantic legend centered upon the imaginary Pacific Ocean island of Gondal. The realm of Gondal became a lifelong interest for Brontee and, according to many scholars, was a major imaginative source for her writings. Beginning in 1826, Bronte also began making drawings and sketches of natural subjects such as birds to which she was drawn for the remainder of her life. Her close observations of birds, animals, plants, and the changing skies over Haworth formed a significant part of the poetry she began writing at an early age. Although Brontee was intellectually precocious, she also was painfully shy. She briefly attended a school in East Yorkshire in 1835 and worked as an assistant teacher at a school around 1838, but living away from home was too difficult for her. She returned home, writing poetry and attending to household duties until 1842, when she and Charlotte, hoping to acquire the language skills needed to establish a school of their own, took positions at a school in Brussels. There were limited career opportunities for British women of this time period, with teaching being one of the few options. The death of Bronte’s aunt later that year, however, forced Brontee to return to Haworth again, where she lived for the rest of her life. Bronte’s Poetry. In 1845, Charlotte discovered one of Emily’s private poetry notebooks. At Charlotte’s urging, Emily reluctantly agreed to publish some of her poems in a volume that also included writings by her sisters. Poems by Currer, Ellis, and Acton Bell, reflecting the pseudonyms adopted by Charlotte, Emily, and Anne, was published in May 1846. While only two copies of the book were sold, at least one commentator, Sydney Dobell, praised Emily’s poems, singling her out in the Athenaeum as a promising writer and the best poet among the ‘‘Bell’’ family. Her poetry is difficult to evaluate and interpret, as it was not written for publication, though she did revise much of her early work in 1844. Some of what has been preserved can be discounted as immature early drafts. Much of it deals with the fantasy world of Gondal, which is a barrier to the proper appreciation of the poetry. Completed Only Novel Wuthering Heights. Bronte had been working on Wuthering Heights (1847), which was published under the pseudonym Ellis Bell in an edition that also included Anne’s first novel, Agnes Grey. Bronte’s masterpiece was poorly received by contemporary critics who, repelled by the vivid portrayal of malice and brutality in the book, objected to the ‘‘degrading'' nature of her subject. In the nineteenth century, as women began writing and publishing more fiction, critics often gave negative assessments of their works based solely on the author's gender. Such critics believed women lacked the worldly experience, critical judgment, and rationality to write works of value despite a rapid rise in works written by women and for an expanding female audience. Brontee worked on revising her poetry after publishing Wuthering Heights, but her efforts were soon interrupted. Her brother Branwell died in September 1848, and Emily's own health began to decline shortly afterward. She was suffering from tuberculosis, an airborne infectious disease that attacks the lungs. The slow-killing disease was common in the nineteenth century, especially in England and the United States, because of close quarters often created by intense industrialization and urbanization. In accordance with what Charlotte described as her sister’s strong-willed and inflexible nature, Bronte apparently refused medical attention and died of the disease on December 19, 1848, at the age of thirty. John Quincy Adams (1767-1848): Sixth president of the United States; established the Monroe Doctrine, stating that foreign governments were not allowed to interfere with U.S. affairs and that America in turn would stay neutral toward Europe, as long as no military actions were taken in the Americas. George, Lord Byron (1788-1824): English Romantic poet with a famously scandalous life; his 1812-1816 poem Childe Harold's Pilgrimage established the Byronic hero as romantic and tortured. Honore de Balzac (1799-1850): French novelist and playwright, considered one of the creators of realism in French literature; his characters are multidimensional and complex, rather than simply good or bad. Mary Shelley (1797-1851): British writer, married to Romantic poet Percy Bysshe Shelley; her best-known work is the 1818 novel Frankenstein. Nat Turner (1800-1831): American slave, who led a bloody rebellion in Virginia against white Southerners before being caught and hanged; in the aftermath, Virginia debated abolishing slavery but narrowly decided to continue it. In her writings, Bronte’s exploration of the self, the imagination, and the visionary associate her more closely with Romantic poets such as Samuel Taylor Coleridge and William Wordsworth than with Victorian writers such as Alfred, Lord Tennyson and Robert Browning. She was a serious poet, who, like her peer Emily Dickinson, wrote dozens of poems with no intention of publishing or even showing them to her family. Antiromance. Many of Bronte’s Gondal poems as well as her novel are viewed as being antiromantic. Unlike the Romantic poets William Blake, William Wordsworth, and Lord Bryon, Bronte’s idea of love does not enforce eternity but ruthlessly refuses it. In Wuthering Heights, the setting is cold, dreary, and barren, and the protagonist Heathcliff is curiously mean and calculating, unlike John Milton’s Satan in Paradise Lost or the heroes of Lord Byron’s works. Critic Helen Brown was one of the first to point out the influence of George Gordon, Lord Byron, on Bronte’s Gondal characters and their isolation, passions, dark crimes, and darker thoughts. The influence of Sir Walter Scott and Percy Bysshe Shelley on Bronte’s poetry is also clear. Elektra (c. 425 B.C.E. ), a play by Sophocles. This play focuses on an extreme example of family misfortune. Electra convinces her brother Orestes to avenge their father's murder by killing their mother, Clytemnestra. The Count of Monte Cristo (1844), a novel by Alexandre Dumas. The novel is a romantic tale of power, adventure, and revenge, as its protagonist, Edmond Dantes, seeks justice against those who betrayed him. ''The Cask of Amontillado'' (1946), a short story by Edgar Allan Poe. This well-known short story features a protagonist who is verbally insulted and avenges his honor by killing a man in a macabre way. Hamlet (1601 or 1602), a play by William Shakespeare. In this revenge play, the readers wait for Hamlet to gather enough evidence before he avenges his father's murder. Even though Brontee is more distinguished as a novelist than as a poet, scholars regard her poetry as a significant part of her work. Critical assessment of Bronte is divided over the question of whether to assess her poems separately from the Gondal mythology or to retain the Gondal context in order to clarify obscure references and provide dramatic and thematic unity. While Wuthering Heights was met with general perplexity upon its original publication, by the early twentieth century Brontee was hailed as one of the most important women novelists of the nineteenth century. The novel was considered one of the most powerful and original works in Victorian literature, incorporating elements of the Gothic novel, the Romantic novel, and the social criticism found in a Victorian novel. Importance of Poetry. In particular, lacking firsthand information concerning Bronte’s life and opinions, commentators have looked to the poems as a source of insight into Bronte’s personality, philosophy, and imagination. Critics have attempted to reconstruct a coherent Gondal ‘‘epic’’ from Bronte’s poems and journal entries. In addition, critics have consequently noted many similarities between the passionate characters and violent motifs of Gondal and Wuthering Heights, and today, a generous body of criticism exists supporting the contention that the Gondal poems served as a creative forerunner of the novel. Wuthering Heights. 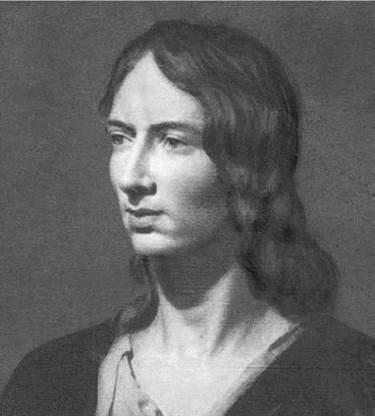 Initially, critics failed to appreciate Emily Bronte’s literary significance. While commentators acknowledged the emotional power of Wuthering Heights, they also rejected the malignant and coarse side of life that it depicted. Charlotte Brontee responded to this latter objection in 1850, defending the rough language and manners in her sister’s novel as realistic, but apologizing for the dark vision of life in the book, which she attributed to Emily’s reclusive habits. Charles Percy Sanger’s 1926 monograph was one of the first modern studies to bring Bronte’s craftsmanship to light. As a result, scholars discovered the sophistication and complexity of her images, characterizations, themes, and techniques in Wuthering Heights. Psychological aspects also gained attention in the late twentieth century as Bronte continued to be regarded as an influential novelist. 1. After reading Wuthering Heights, hold a discussion about Heathcliff and his actions. How does his social class influence his actions? 2. Little is known about Emily Bronte’s life, and some scholars try to get hints from her poetry. Read several of Bronte’s poems and discuss what you think the poems reveal about her. 3. Create a chart that lists examples of both Romantic and Gothic elements in Wuthering Heights. 4. Using the Internet and/or your library’s resources, conduct research on Emily’s sisters Charlotte and Anne. Review their main works and compare them with Emily’s Wuthering Heights. 5. Emily Bronte created an imaginary world—the island of Gondal—a world she used in her writing. With a partner, create an original story about Gondal. Who lives there? What do they do? What does the island look like? Barker, juliet. The Brontees. New York: st. Martin’s Press, 1995. Cecil, David. Early Victorian Novelists. London: Constable, 1934. Eagleton, Terry. Myths of Power. London: Macmillan, 1975. Gerin, Winifred. Emily Bronte. Oxford: Oxford University Press, 1971. Leavis, F. R., and Q. D. Leavis. Lectures in America. London: Chatto & Windus, 1969. Sanger, C. P. The Structure of ‘‘Wuthering Heights’’. London: Hogarth Press, 1926. Smith, Anne, ed. The Art of Emily Bronte. London: Vision Press, 1976. Allott, Miriam. ‘‘Wuthering Heights: The Rejection of Heathcliff?’’ Essays in Criticism 8 (1958): 27-47. Brown, Helen. ‘‘The Influence of Byron on Emily Bronte.’’ Modern Language Review 34 (July 1939): 374-81. Howells, William Dean. ‘‘Heroines of Nineteenth-Century Fiction: The Two Catherines of Emily Bronte.’’ Harper’s Bazaar. (December 29, 1900).